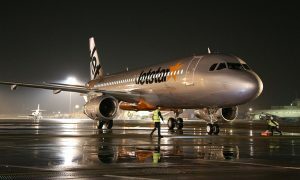 Vietnam Airlines and the Qantas Group have given their commitment for the long-term expansion of Jetstar Pacific. Vietnam Airlines CEO Dr Pham Ngoc Minh was in Sydney this week to meet Qantas executives including Qantas CEO Alan Joyce and Jetstar Group CEO Jayne Hrdlicka to discuss their joint shareholding in Jetstar Pacific. Vietnam Airlines holds 70 per cent, while Qantas holds 30 per cent. Dr Minh said the significant improvement in performance from the low fares airline had given both airlines confidence for the future. “Vietnam Airlines and our partners Qantas are committed to the long-term success of Jetstar Pacific,” Dr Minh said. 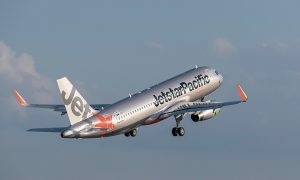 “Jetstar Pacific has made significant progress in recent years, cumulating in the low fares airline being profitable for the first 9 months of calendar year 2015. Jetstar Pacific has grown from five aircraft in 2013 to 12 aircraft by the end of 2015 and now operates to 16 domestic destinations and 6 international destinations. The brand is very strong and trusted in Vietnam”. This year Jetstar Pacific commenced operations to three new international destinations: Hong Kong, Changsha, Wuhan and opened five new international and 11 new domestic routes. In total the airline operates on 32 domestic and international routes. Dr Minh said the dual-brand strategy for domestic and international flights was a key part of the airline’s strategy. 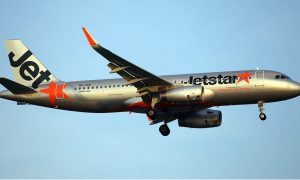 Jetstar Group CEO Jayne Hrdlicka said Jetstar Pacific was an important part of the Jetstar Group of airlines which includes Jetstar Australia and New Zealand, Jetstar Japan and Jetstar Asia (Singapore). 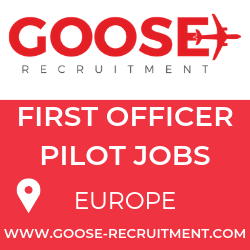 “We are committed to Jetstar Pacific for the long-term. Vietnam remains one of the fastest growing aviation markets in the world and Jetstar Pacific is a key part of the Jetstar network across the Asia-Pacific. 11 years ago Jetstar operated 14 aircraft up and down the east coast of Australia. Today, Jetstar branded airlines operate 120 aircraft to 75 destinations in 17 countries and territories”.